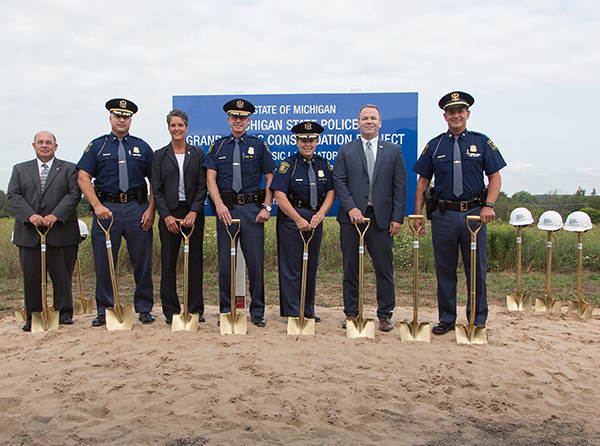 Tag Archive | "Michigan State Police"
The Michigan State Police and the Michigan Department of Technology, Management and Budget held a groundbreaking ceremony last week at the location for MSP’s new consolidated facility that will serve the greater Grand Rapids area. The groundbreaking was held on Thursday, August 16, at 2290 4 Mile Rd NW. 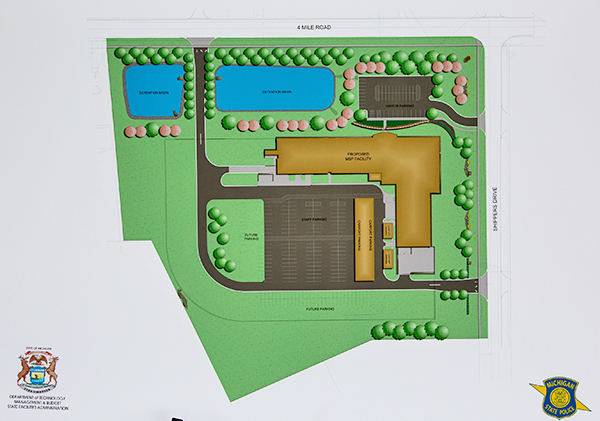 The new facility will be built on a previously undeveloped, 17-acre site centrally located in the city of Walker in Kent County. According to MSP, this site is ideally located to serve the public efficiently, and also allows for expansion opportunities in the future. When construction of this modern law enforcement facility is completed in the fall of 2020, it will house the MSP Grand Rapids Forensic Science Laboratory, Sixth District Headquarters and Rockford Post. Constructing this new facility will bring three units together into a single, modern law enforcement facility, which will increase efficiency and decrease costs associated with maintaining and operating multiple aging facilities. Currently, the lab is located on Fuller Avenue near I-196. Sixth District Headquarters and the Rockford Post are located on Northland Drive in Rockford. As part of the Michigan Department of Technology, Management and Budget’s commitment to energy efficiency and sustainable building practices, all materials and systems will be selected with the LEED (Leadership in Energy and Environmental Design) rating system in mind. The project was authorized by Public Act 241 of 2015, with a total cost of $57 million and is expected to be completed in 2020. 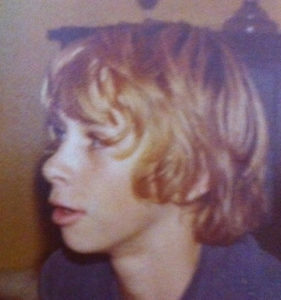 DNA confirms that “John Doe” buried in Georgia in 1979 is missing 15-year-old from Addison, Mich.
On Feb. 12, 1979, 15-year-old Andrew Jackson Greer left Addison High School and failed to return home. Greer’s whereabouts have been unknown for the past 39-plus years. The case remained cold after early investigations by the Michigan State Police in 1979 and the Lenawee County Sheriff’s Department in 2000. The cold case was re-opened in 2014, and with developments in technology and resources, the mystery of Andrew’s whereabouts has finally been solved. A forensic analyst from the Center for Human Identification at the University of North Texas confirmed on Tuesday, August 14, that DNA from a “John Doe,” who was buried in a pauper’s grave in Macon, Ga. in 1979, matches Greer’s DNA. In December 2017, a retired Bibb County Sheriff’s Department deputy made the connection between the “John Doe” and Greer. The retired deputy notified MSP detectives, who then traveled to Macon, Ga. in April 2018 to exhume the body of “John Doe.” With the assistance of the Bibb County Sheriff’s Department, Macon District Attorney’s Office and National Center for Missing and Exploited Children, detectives were able to successfully recover the body to send for additional testing. A DNA sample was taken from “John Doe” at the Georgia Bureau of Investigation and sent to the Center for Human Identification for comparison. The results concluded that it was 1.9 trillion times more likely that the DNA from “John Doe” was that of Greer than not. Together, the DNA results and police reports conclude they are one in the same. All indications are that Greer ran away from home on Feb. 12, 1979, and was killed two days later, on Feb. 14, 1979, when he was struck by a semi-truck while hitchhiking down I-75 near Macon, Ga. Greer’s identity has been a mystery to Georgia authorities until now, and the Michigan State Police had no information on his whereabouts until the connection was made in December 2017. Arrangements are currently being made to bring Greer’s body back to Michigan. Douglas Sawyer, 32, died of a self-inflicted gunshot wound after shooting a MSP Trooper. Courtesy photo. The Michigan State Police (MSP) confirmed that a Houghton Lake Post trooper was shot at approximately 1:30 p.m. July 13 during a traffic stop in Lake Township in Missaukee County. The preliminary investigation indicates the trooper stopped a vehicle occupied by three individuals (two males and a female). 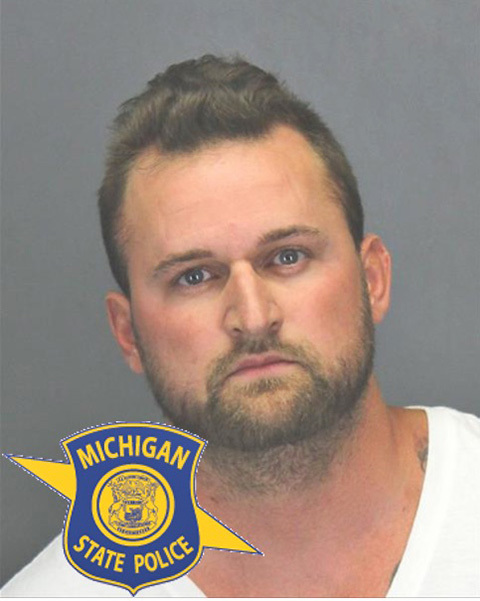 One male, a 32-year-old Fenton man, fled from the vehicle and began firing upon the trooper, and the trooper returned fire. The trooper was struck several times. He was conscious and alert when transported to the hospital with non-life-threatening gunshot injuries. The gunman was deceased. The other two occupants, who remained in the vehicle, were taken into custody. The gunman was positively identified following an autopsy last weekend. The investigation confirmed he died of a self-inflicted gunshot wound after exchanging gunfire with the Trooper. The 32-year-old Fenton man was identified as Douglas Robert Sawyer. Sawyer had prior arrests for home invasion, drug crimes, and weapons violations. At the time of this incident, the Parole Absconder had three valid warrants for his arrest. One was a Parole Absconder warrant resulting from his failure to comply with parole after a prison sentence for Home Invasion. The second was a felony warrant for Criminal Sexual Assault 4th Degree out of the Michigan State Police Paw Paw Post. The third was a civil warrant for child neglect. The Houghton Lake State Police Post is very happy to report our Trooper has been released from the hospital after being treated for non-life-threatening gunshot injuries. He is resting with the support of family and friends. The Houghton Lake State Police Posts thanks the community and law enforcement partners for the outpouring of prayers, support, and well-wishes. The Trooper’s name is not being released at this time. The incident is still under investigation. Although Michigan traffic deaths remained above 1,000 for the second consecutive year there was a 3 percent decrease in fatalities during 2017, according to just-released data from the Michigan State Police Criminal Justice Information Center. The 1,028 fatalities in 2017 marked a small decline from 1,064 fatalities in 2016. Injuries: 79,724 in 2016 to 78,394 in 2017, down 2 percent. Crashes: 312,172 in 2016 to 314,921 in 2017, up 1 percent. Serious injuries: 5,634 in 2016 to 6,084 in 2017, up 8 percent. The percentage of alcohol-involved fatalities increased 32 percent from 271 in 2016 to 359 in 2017. This rise reflects, in part, better reporting methods and data collection. “Attention must be paid when we see nearly half of all traffic crash fatalities involving alcohol or drugs,” said Michael L. Prince, director of the Michigan Office of Highway Safety Planning (OHSP). “This noteworthy change is causing great concern, and effective safety strategies to address this issue require a comprehensive approach in coordination with our local, county, state and federal partners. The OHSP will continue to allocate resources in the form of federal funding to improve our capabilities in the detection, apprehension, prosecution and treatment of impaired drivers. “Clearly, our most basic safety countermeasures, focused on increasing seat belt use and reducing impaired driving, remain just as important now as they have ever been,” he added. Bicyclist fatalities decreased from 38 in 2016 to 21 in 2017, down 45 percent. Commercial motor vehicle-involved fatalities decreased from 120 in 2016 to 95 in 2017, down 21 percent. Motorcyclist fatalities decreased from 141 in 2016 to 137 in 2017, down 3 percent. Pedestrian fatalities decreased from 165 in 2016 to 158 in 2017, down 4 percent. Deer-involved fatalities increased from 14 in 2016 to 17 in 2017, up 21 percent. More detailed 2017 crash information will be posted to Michigantrafficcrashfacts.org in the coming months. Statewide crash information can be found at Michigan.gov/crash. These two cars collided in a head on collision on 14 Mile Rd in front of Burger King Wednesday. Post photos by J. Reed. 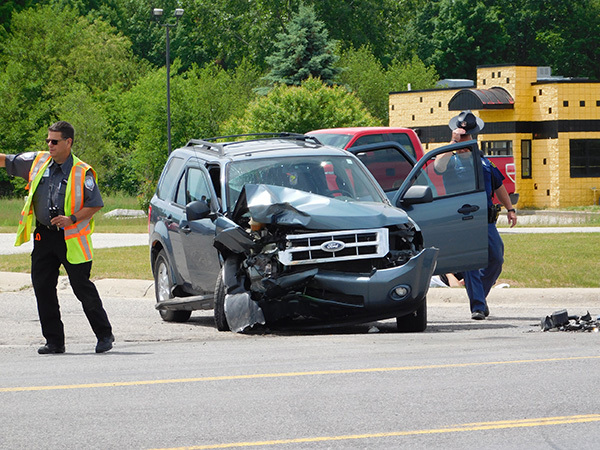 At least one person was sent to the hospital by Rockford Ambulance Wednesday after two SUV’s collided head-on in front of Burger King on 14 Mile Rd in Algoma Township. 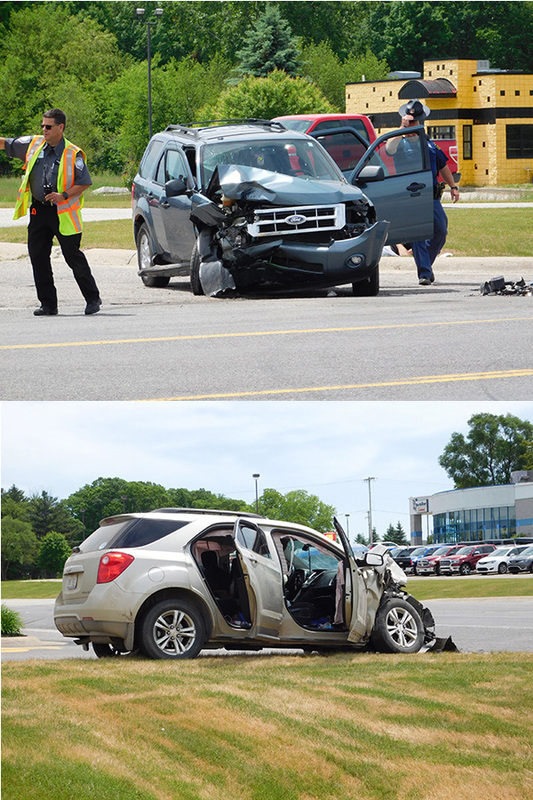 The crash occurred about 12:30 p.m.
At least one person was removed from the dark colored SUV sent to the hospital via Rockford Ambulance. Algoma Township Fire and Rescue and Rockford Ambulance assisted the Michigan State Police at the scene. No details of the crash were immediately available at press time. Michigan Conservation Officer Mike Evink. One man was rescued and another drowned Monday after the kayak they had taken out into the winds and waves of Lake Michigan overturned in rough seas off the Schoolcraft County mainland. At about 3:30 p.m. Monday, regional dispatchers received a call from a man who said his son and a friend had taken a kayak out into Lake Michigan off South Barques Point Trail, which is located south of Manistique. The names of those involved were not released. The man, who was calling from a vacation rental property they were staying at, said the kayak had overturned. Strong wind prevented his son and his friend from returning to shore. He told dispatchers he could see the men bobbing in the water next to the kayak. Neither man had a life jacket. The water temperature was about 50 degrees. Michigan Department of Natural Resources Conservation Officer Mike Evink, Michigan State Police troopers from the Manistique detachment, Manistique Public Safety EMS, the Schoolcraft County Sheriff’s Office and a Sault Ste. Marie Tribe of Chippewa Indians tribal officer responded to the scene. When state police and EMS personnel arrived, they could see the two men in the water a few hundred yards offshore. Evink launched his department-issued Jet Ski from the beach at the caller’s location. With help from EMS personnel, Evink was able to locate one of the kayakers in the water. He secured the tired and cold man to the watercraft and returned him to waiting EMS workers. He was taken to Schoolcraft Memorial Hospital in Manistique. The kayaker, from Oxford, Michigan, was showing signs of shock and hypothermia. Evink then began to search for the second kayaker, who was the caller’s son. He soon found the man at the bottom of Lake Michigan at a depth of 8 to 10 feet. He made several attempts to dive to reach the man, but he was not successful. Michigan State Police said a Manistique Public Safety officer sought treatment for water inhalation after attempting to help reach the kayaker. Evink contacted dispatchers to clearly mark the location of the body, using his portable police radio’s global positioning satellite signal. He remained in the area until a boat from the sheriff’s office made it to the scene and deputies marked the location with a buoy. Evink then assisted state police dive team members in recovering the 23-year-old man’s body. He was a resident of Burton, Michigan. 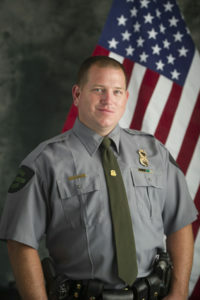 After working for a year as a law enforcement officer with the city of Cadillac, Evink was hired as a conservation officer with the DNR in 2010. A native of Grand Rapids, Evink was assigned to the Upper Peninsula where he remains, serving the residents and visitors of Schoolcraft County. In January 2017, Evink rescued a propane deliveryman who was overcome with carbon monoxide as he tried to save an unconscious homeowner. Four days earlier, Evink was involved in aiding two stranded snowmobilers in Alger County who said he and a U.S. Forest Service law enforcement officer saved their lives. In July 2017, he was recognized by the DNR Law Enforcement Division for saving the life of the deliveryman. Learn more about Michigan conservation officers at www.michigan.gov/conservationofficers. When Paul Schrier visited Bliss-Witters & Pike Funeral home last Friday morning, he walked by a man sitting in his vehicle with the window down and gave him a friendly hello. He doesn’t remember if the man responded. “I may have been the last person to talk to him,” said Schrier. When he finished his business at the funeral home, Schrier noticed the man was still there in the parking lot as he headed over to Elmwood Cemetery to dig more holes for the Avenue of Flags. About 10 minutes later, Schrier heard a gunshot. When he looked to see what was going on, he saw the flashing lights of police at the funeral home. And then he heard another shot. 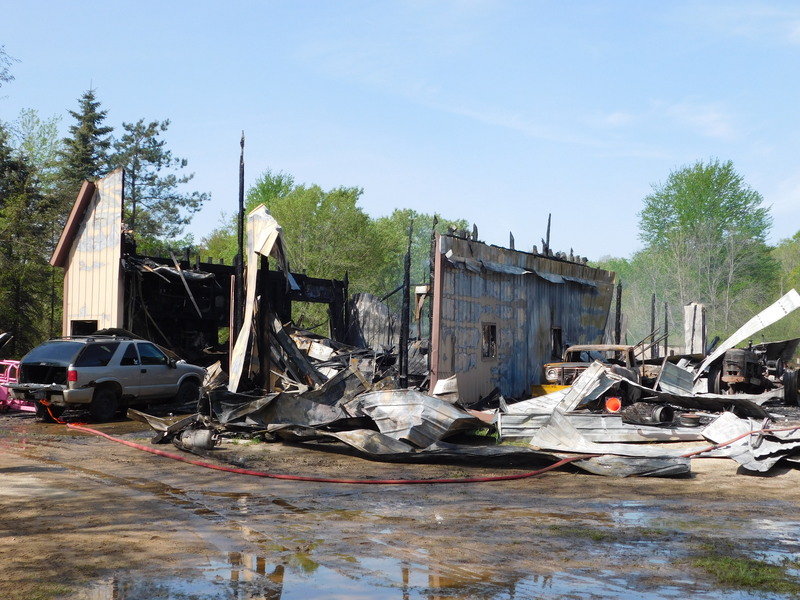 What Schrier didn’t know was that this was the tragic end of the search for Bruce Bott, the 71-year-old Algoma Township man who had set his house on fire and burned his property earlier that morning, before ending his life in the parking lot of the funeral home. A fire was set by the homeowner in the basement of this home on Algoma Ave. Post photo by J. Reed. It started early Friday morning, May 18. According to Algoma Township Fire Chief Troy Guerra, they were toned out at 6:48 a.m. to a structure fire at 12131 Algoma Ave, between 14 and 15 Mile Roads. 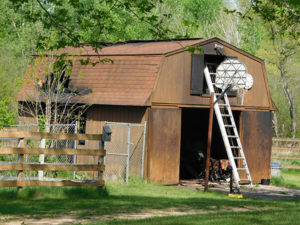 When they arrived on scene, they found the basement of the home on fire, as well as the pole barn. He said they sent out a second alarm on the pole barn fire to call in more aid. Guerra said they didn’t find anyone inside the home. 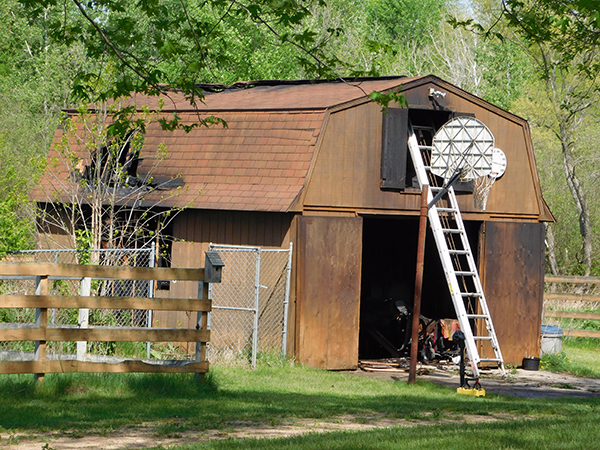 The fire also spread to a small shed behind the home, which was extinguished. The pole barn was destroyed. 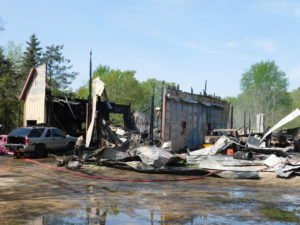 The fire was deemed suspicious, and while firefighters from multiple fire departments battled the blazes, and the Michigan State Police investigated the fire, the Kent County Sheriff Department followed up on information they were given about a contentious divorce, in case the fire was deemed arson. The divorce between Bott and his wife was finalized April 30. So police began to search for Bott. This shed near the home was also burned in the fire May 18. Post photo by J. Reed. At approximately 9:30 a.m. the Kent County Sheriff Office received a call from Bliss-Witters & Pike funeral home in the 13000 block of Northland Dr NE. The caller reported a suspicious person who had just arrived at their facility. Dispatchers learned that Bott was sitting in his vehicle in the parking lot after dropping off a last will and testament to the funeral home. The man was still sitting in his vehicle when officers arrived, but as deputies approached, they saw him shoot himself with a handgun. No shots were fired by responding deputies. Bott was safely transported to Spectrum Butterworth with life threatening injuries. Shortly after 1:00 p.m., he was pronounced dead by medical staff at Spectrum Butterworth. 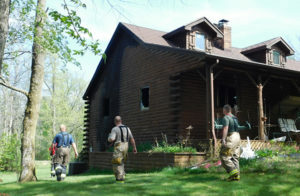 There were no injuries to the man’s ex-wife, who was not living at the home at the time of the fire. 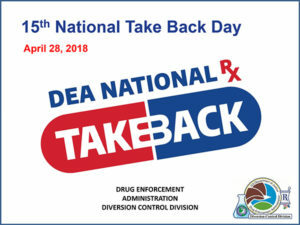 Americans nationwide did their part to drop off a record number of unused, unwanted or expired prescription medications during the DEA’s 15th National Prescription Drug Take Back Day, at close to 6,000 sites across the country. Together with a record-setting amount of local, state and federal partners, DEA collected and destroyed close to one million pounds—nearly 475 tons—of potentially dangerous expired, unused, and unwanted prescription drugs, making it the most successful event in DEA history. Michigan State Police collected 23,115 pounds, or 11.6 tons. This brings the total amount of prescription drugs collected by DEA since the fall of 2010 to 9,964,714 pounds, or 4,982 tons. National Prescription Drug Take Back Day events continue to remove ever-higher amounts of opioids and other medicines from the nation’s homes, where they could be stolen and abused by family members and visitors, including children and teens. This initiative addresses a vital public safety and public health issue. Medicines that languish in home cabinets are highly susceptible to diversion, misuse and abuse. Rates of prescription drug abuse in the U.S. are alarmingly high, as are the number of accidental poisonings and overdoses due to these drugs. Studies show that a majority of abused prescription drugs are obtained from family and friends, including from the home medicine cabinet. DEA launched its prescription drug take back program when both the Environmental Protection Agency and the Food and Drug Administration advised the public that their usual methods for disposing of unused medicines—flushing them down the toilet or throwing them in the trash—posed potential safety and health hazards. Helping people to dispose of potentially harmful prescription drugs is just one way DEA is working to reduce the addiction and overdose deaths plaguing this country due to opioid medications. Complete results for DEA’s fall Take Back Day are available at www.deatakeback.com. DEA’s next Prescription Drug Take Back Day is October 27, 2018. Michigan State Troopers from the Lakeview Post and emergency personnel were dispatched to a residence on Neve Rd in Pierson Twp, Montcalm County on Sunday, April 29, about 1:40 p.m., after family members found their two-year-old son unresponsive in water behind the residence. Police described the body of water as bigger than a pond, but smaller than a lake. Lifesaving efforts by family members, and later by medical first responders from Sand Lake Fire Department and Montcalm County EMS, proved fruitless. The child was pronounced deceased at Spectrum Health Hospital a short time later. The boy was identified as Alexander Sheldon, age 2. According to police, the case is still under investigation. The Michigan State Police (MSP) is urging residents to discard expired, unused and unwanted pills during National Prescription Drug Take-Back Day this Saturday, one of two annual events held in partnership with the Drug Enforcement Administration (DEA) and other law enforcement agencies. MSP’s 30 posts will participate in the one-day Take-Back effort from 10 a.m. to 2 p.m. on Saturday, April 28, by serving as drop-off points. All collected pills will be destroyed. No liquids, inhalers, patches, or syringes will be accepted. “With opioid and prescription drug abuse, accidental poisonings and overdoses becoming all too common, I strongly urge Michiganders to use this opportunity to check what is in your medicine cabinet and then properly dispose of any medications you no longer need,” said Col. Kriste Kibbey Etue, director of the MSP. National Prescription Drug Take-Back Day is held twice a year, in April and October. During the October 2017 effort, MSP posts collected roughly 802 pounds of prescription drugs. Find your closest MSP Post at www.michigan.gov/msp. Additional collection sites across the state can be found by going to www.dea.gov. Anyone who is unable to participate on National Prescription Drug Take-Back Day can anonymously surrender their prescription drugs at any MSP post, Monday through Friday from 8 a.m. to 4 p.m., excluding holidays. The City of Cedar Springs also collects unused prescription drugs daily Monday through Thursday, from 7:30 a.m. to 5:30 p.m. No liquids, inhalers, patches, or syringes will be accepted.